Nikolai Dëus-von Homeyer is Managing Partner of NAS Invest and oversees the company’s strategy, product development and financing. In 2013, he sold his share in Corestate Capital AG, where he was Director and Head of Corporate Development and contributed substantially to the firm’s strategy, product development and real estate investments in excess of €3bn. 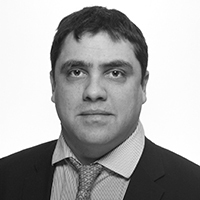 Previously Nikolai worked in the Frankfurt/Germany office of Cerberus Capital Management, a major US-American private equity firm, where he dealt with real estate acquisitions, the optimisation of existing property investments, and exit strategies across a property portfolio of more than €5bn. 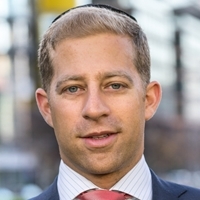 Nikolai has more than 14 years of real estate experience and holds a diploma in real estate from HTW Berlin, a diploma in business administration/ banking from the University of Hagen and a MBA in general management from the Leonard N. Stern School of Business at New York University. Born and raised in Berlin, Nikolai spent several years professionally in Frankfurt, Zurich, New York and London before he returned to the German capital with his family in 2011. Director and founder of BlueRock Fund. He was born and raised in Zurich and received his education there as well. His experience in the German and Swiss real estate market goes back to his former functions as CFO and consultant for an international tax advisory firm, where he operated primarily in the real estate field. He previously accompanied UHNW clients who bought real estate in Switzerland and Germany. In his role as consultant Ronny accompanied clients through all due diligence phases, financing requests up until the setup of tax structures and companies as well as property/asset management. Keith started working with Maitland in July 2014. He is an independent director and partner of ManagementPlus, a Luxembourg-based corporate governance firm, with specific experience in real estate and private equity fund investments, AIFMD and depositary services. Keith was previously Senior Managing Director of State Street's EMEA private equity and real estate administration business, responsible for Product Development and Relationship Management, as well as their Luxembourg & Ireland Alternative Investment Solutions (AIS) offices. Prior to that, Keith worked for Brown Brothers Harriman, LaSalle Investment Management and JLL in Luxembourg and London. 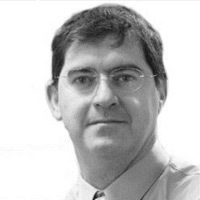 Keith works with several professional bodies (ALFI, INREV, ILA) and is a chartered Fellow of RICS and an ILA Certified Director. 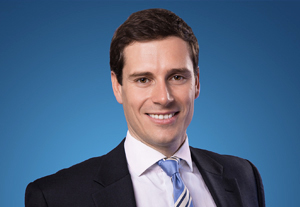 Greg is a Senior Investment Manager and a member of the group Investment Committee. His focus is investment advisory and wealth management services for UNHW private clients. He advises a number of families on their overall investment strategy and also manages a number of private client multi-asset mandates. Greg has had experience advising on both public and private market assets and strategies and leads the research team focused on global alternative strategies. In 2007 he was part of the team that set up Maitland’s wealth management capability in South Africa, and subsequently led the investment strategy for South African domiciled portfolios. 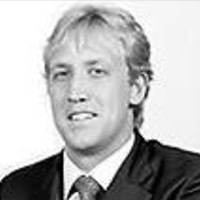 Greg originally joined Maitland (then FinSource) in 2006 in the global hedge fund administration team. Kavitha joined Maitland in 2001. She is responsible for managing Maitland’s institutional clients services (excluding South Africa), including client relationship management and business development. Her areas of expertise cover investment fund structures and domiciles and operations (fund accounting and reporting, transfer agency and corporate governance). 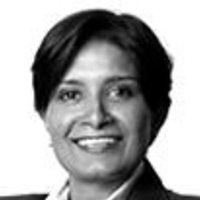 Kavitha also has experience in Luxembourg company structures and trusts and finance. She was responsible for the transfer of the fund administration services for the offshore funds administered by Maitland in Luxembourg to its sister company in South Africa. Prior to joining Maitland, Kavitha was with Liberty Ermitage S.A. in Luxembourg. Stefano holds a Master’s degree in Economics and Business from the LUISS Business School of Rome obtained in 2007 and a Master’s degree in ‘Funds and asset management in the financial, banking and insurance fields’ issued by Université Paris Ouest-Nanterre La Défense in 2011. Stefano is fluent in English, French and Italian and speaks basic level Spanish. After having started his career in Rome as an external auditor, Stefano moved to Luxembourg in 2007 where he worked for Lombard International Assurance S.A. between 2007 and 2012 in the capacities of fund accountant, account officer and performance and investment compliance analyst. In 2013 Stefano was employed as a risk manager by MDO Services S.A. where he reported to the Conducting Officers and carried out risk management oversight tasks for six UCITS Funds. In 2014, Stefano joined MS Management Services S.A. as a risk officer where he has been in charge of carrying out investment compliance and risk reporting duties for several Alternative Investment Funds and has been a member of MSMS’s Valuation and Risk Committees. In December 2015 Stefano took on the role of Conducting Officer and has been responsible for MS Management Services’ risk management framework since.